T-Shirts. Heavyweight, 50/50. 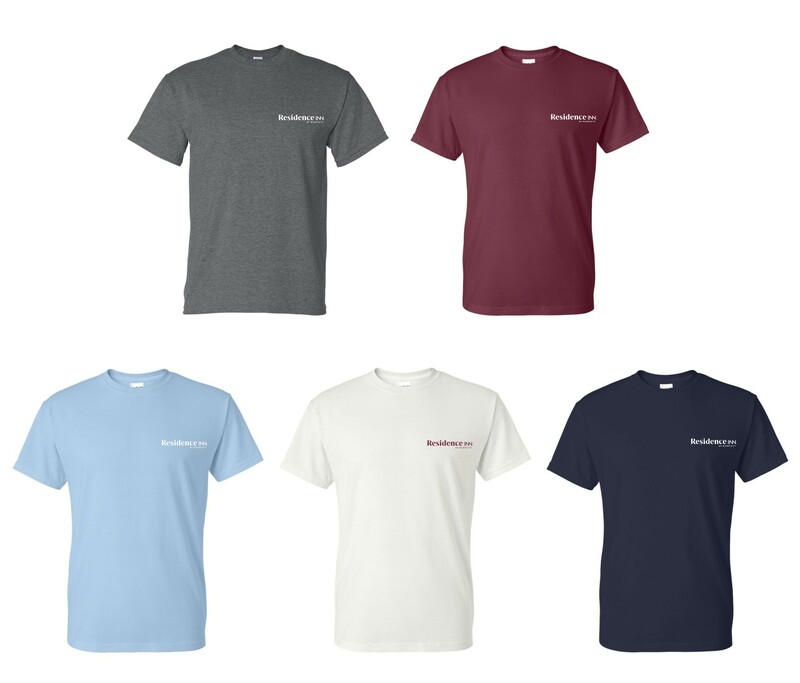 Dark Heather, Maroon, Light Blue, White and Navy Blue.